There are 14 Memory Care Facilities in the Orange area, with 1 in Orange and 13 nearby. The average cost of memory care in Orange is $7,550 per month. This is higher than the national median of $4,650. Cheaper nearby regions include Milford with an average starting cost of $4,800. To help you with your search, browse the 11 reviews below for memory care facilities in Orange. Better rated regions include Stratford with an average rating of 3.0 out of 5 stars. Caring.com has helped thousands of families find high-quality senior care. To speak with one of our Family Advisors about memory care options and costs in Orange, call (855) 863-8283. Orange is located on the south coast of Connecticut along the Long Island Sound in New Haven County, where it's estimated that well over 14 percent of Medicare beneficiaries aged 65 and over have Alzheimer's or dementia. Some of these seniors may be a part of Orange's large senior population, which makes up more than 20 percent of the community's 14,000 residents. Orange has one memory care facility, and there are over a dozen more in nearby cities, including Shelton and Milford. In Connecticut, memory care facilities are officially called special care units, and they have their own licensure requirements separate from those of standard assisted living facilities. These facilities are monitored by the Connecticut State Department of Health. While Social Security income is exempt from state income tax for seniors whose adjusted gross income is below a certain level, all other types of retirement income are taxable in Connecticut. This may impact how much money can be put towards memory care services in Orange. According to data presented by the American Lung Association, the ozone pollution levels in Orange are very high and the short-term particle pollution levels are moderate. New Haven County, which includes Orange, was given an F for ozone pollution and a C for 24-hour particle pollution, and this may be a consideration for families whose senior loved one has a condition like asthma. Orange is a fairly expensive city to live in. Overall, living costs here are about 40 percent higher than the nationwide average, and the region's high cost of housing, utilities and groceries may drive up the price of memory care. Orange's overall crime rate is higher than 79 percent of U.S. cities of all sizes, and when it's compared only to similarly sized cities, it's crime rate is considerably higher than average. Memory care facilities keep residents safe by using security cameras and access control systems. Memory Care costs in Orange start around $7,550 per month on average, while the nationwide average cost of memory care is $4,800 per month. It’s important to note that memory care rates in Orange and the surrounding suburbs can vary widely based on factors such as location, the level of care needed, apartment size and the types of amenities offered at each community. To see a list of free memory care resources in Orange, please visit our Assisted Living in Connecticut page. 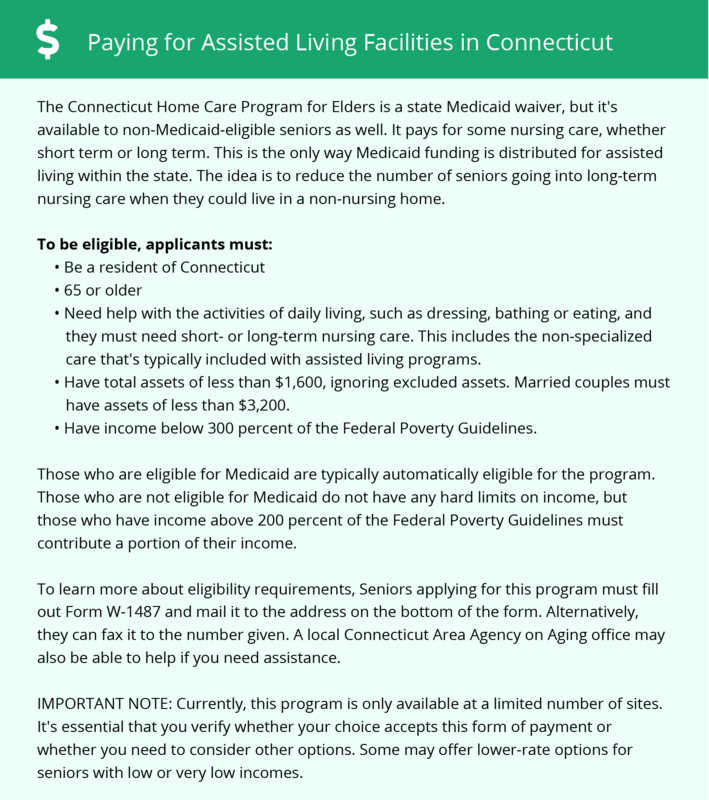 Orange-area assisted living communities must adhere to the comprehensive set of state laws and regulations that all assisted living communities in Connecticut are required to follow. Visit our Memory Care in Connecticut page for more information about these laws.